Don’t over look using ferns in container gardens. 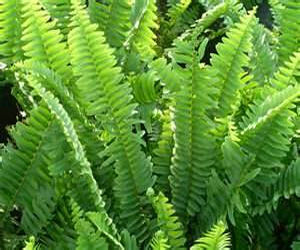 One of the most versatile foliage plants, there are over 12,000 varieties of ferns. They have been around for millions of years and come in all kinds of colors, textures and sizes. 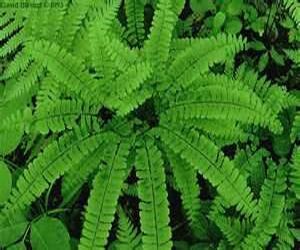 Ferns can be delicate plants with lacy leaves or a broad-leafed type which grows several feet tall. Use ferns in single planting containers on their own, or mix them with other flowers or foliage plants. I generally like ferns in a single planting – part of their beauty is in the reach or curve of their fronds (leaves). I like to give them plenty of room in their own pot to do this. Then, I raise them up a level or two behind flowering containers to provide a backdrop for them, or I use them alone as a single container accent. Probably one of the reasons that ferns in container gardens do well in single plantings is that they have a somewhat different soil requirement than many other plants. In nature, ferns grow in woodland areas where the soil is rocky and sandy, but also contains a lot of organic matter from dead leaves and moss. If you live in an area near woodlands, take a walk and scoop up some dead leaves with mold and moss and add that to a soilless potting mixture. Most of us probably can’t do this, so use a soilless potting mix and make sure if has a peat component. If not, add some. Experiment a little to see what works best for you. There is also a potting mixture that recommends one part garden soil, one part coarse, washed sand and two parts of organic matter like peat moss. I have not personally tried this one, but I did find it recommended in more than one place when researching. So – make sure your potting mix will hold moisture, drain well and contains a substantial organic component – peat, leaf mold, and sphagnum moss are good. Ferns generally grow in rocky soils, and their roots don’t need deep soil in which to grow well. Shallow containers are best for ferns in container gardens. Containers no deeper than six inches are bes. 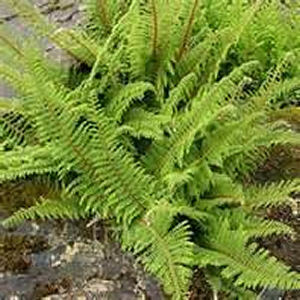 The fern should fit in the pot with an inch or two to spare around the edges for growth. 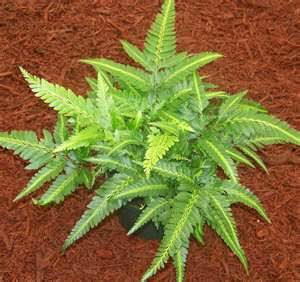 If the pot is too small or too big, it will be hard to maintain the moisture level that your ferns need. As always, make sure your container is clean before you plant and has adequate drainage. When ferns in container gardens grow enough that they need to be repotted, divide the fern and start new ones. You will be able to recognize new crowns in the roots of the plant and these can be started in their own pots. Just don’t cover the crowns when potting. Snails and slugs like many types of ferns. To keep them from becoming a problem, plant ferns in hanging baskets. You can also put Vaseline or petroleum jelly around the top of the pot, just under the rim. Make the band of Vaseline about an inch wide and make sure it encircles the entire pot. One of the main reasons that ferns in container gardens may not do well is improper watering. Too much or too little water either one is bad for ferns. We tend to think of ferns growing in wet, humid areas and so we think they need lots of water. Ferns do not like to be kept wet. Some actually prefer that their soil dries out before they need water again. Check the growing directions on your ferns to see what their moisture needs are. Water the soil and not the foliage of a fern. Don’t water from above – water at the soil level and around the edges of the containers. Try not to water the crown of the plant directly. If you think you are watering too much and the plant is “shedding”, check the roots – too much water will be indicated by dark roots. Healthy roots are an off white color. Should you mist ferns? There is no proof that misting ferns is necessary. They take water in through their roots, not their fronds. It can’t hurt though, so if you like to mist your ferns, that’s fine – just be sure you don’t mist instead of watering. Use a water soluble fertilizer at about half the strength you use for other plants when you water. Also, maybe once a month, add 2 tbsp of Epsom salts to a gallon of water and use that to water your ferns. The minerals in the salts will help the plant stay green. I have tried this and it does keep your ferns greener. Just make sure you don’t do this more often – salts can build up in the soil. 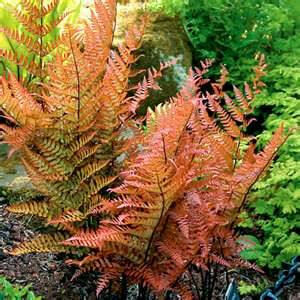 When placing ferns in container gardens, most will prefer a shady location. If you have had ferns indoors for the winter, they will need a hardening period before moving them outdoors for the summer. For a couple of weeks after any threat of frost is over, leave them outside in a shady, sheltered area for a while each day to see how they do. If they droop or change color, they may need a little sun for a while but eventually they can stay outdoors all the time until you bring them back inside in late fall. Ferns are hardy in certain hardiness zones but will die if they are exposed to temps in colder ones. They become dormant in winter and start growing again in spring. Ferns in containers can be kept from year to year by bringing them indoors over the winter. Please leave me a comment and let me know if you like what you see here and if the information is helpful. Thanks.